How to Get Started with Building a Successful Business Online? Yes, you can make money on the internet, quite a lot actually. The business online is growing a rapid speed, and it has its reasons why it is going like that. But starting a business online and running a successful business online is entirely different from each other. I have come across tons of people asking me about starting an easy business online, how to do it? But easy business online is a myth really. Any traditional companies and an online business have its ups and downs, it has become harder to survive, and everything requires a robust planning, hard work and organization. Let’s start with more basics. Make a good planning first! You have an excellent idea, you want to execute it.. but you don’t have a plan. Make a plan a good plan before even thinking to get your hands dirty. Just remember that all kind of businesses require lots of hard work and if your initial planning phase is dull, you will be loose everything in the end. Only fools rush in and make nasty decisions these days. I know online world is fast, and you don’t want to waste a single dime of your time to research, but your effort will be lost in a jiffy. Start researching a good web hosting company as an online business would surely require it. Maybe you don’t require any hosting, and you want to sell items on eBay or Amazon only. So, my last point would be a waste for you. No hosting is required when you want to sell things on other platforms and big e-commerce giants. And you will require a hosting if you want to make affiliate income, you have to build a product showcase on your site, write reviews and build those hard backlinks to get search traffic. People online search on various platforms – be it search engines like Google and Bing or Social platforms like – Facebook and Flipboard. People like to discover things in a whole different way today. Udemy, LinkedIn are those ultimate resources today that can teach you anything at home. You have the all famous YouTube where videos can give you enough of the material to learn a trick to make your business successful. YouTube has become the second most searched website where people use to fulfill their needs. Learn a few and new tricks to get started. Whatever you are not achieving, just run the query over to YouTube, see people demonstrate your queries in the native language. 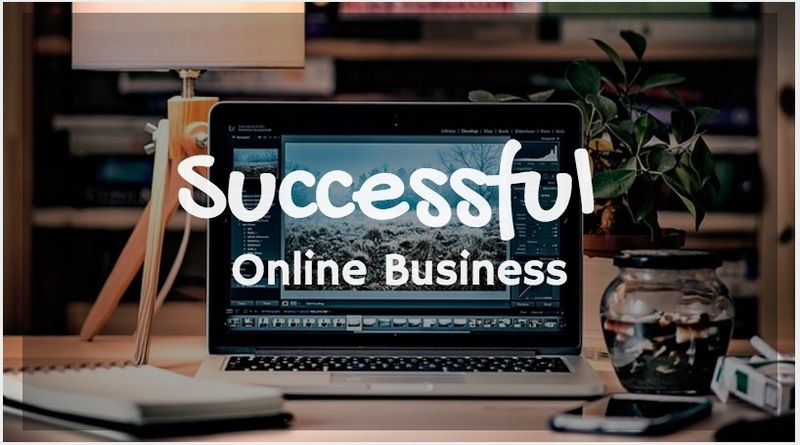 To make you online business successful you will require to market it properly, and with all the competition at this time, you really have to pull your socks. Money making with an online business was easy before in late 2000’s but now in past five years growth of people and replicating businesses have gone crazy. Start something new, and you will get a copy of it next month. Email marketing is a solid way to reach customers, apply it for sure. Spending online for learning new things, marketing and promoting your brand will obviously take time and money. So make a budget accordingly and don’t take it lightly as you would need to overspend in initial stages. Later on, once your business gets rolling, you might require an expert to tackle the finances as well. Personal accounting solution and software are also handy at this time. Many accounting software is free to use and can give you an idea of you spending, you can even start creating invoices on them, so another task will be accomplished. 2. What kind of business you are looking to start. 3. Decide on your products that can work best for you. 4. Plan a marketing strategy. 5. Get training and any bits of advice from experts. 6. Make a budget and spend accordingly. 7. Stick to your plan and don’t distract yourself in any way. I hope you plan and strategize this will only make your business run successfully. All the above is to give you an idea of starting a new business online. It will require lots and lots of more from you. Best of luck.